We’re at the heart of summer here in Barcelona which means twelve straight days of literally NO rain, city-chic farmers tans and bottomless pitchers of fruity sangria. It also equals sizzling Spanish streets, sleeping with fans blaring and endless hours swimming however possible (open sea, public pool, cool bathtub – whatever it takes!). And due to the sweltering temps, a mass exodus in the month of August also occurs. The city practically shuts down with most stores and restaurants locking their doors until early September and many streets eerily quiet. This is Spain’s summer “holiday” month. Which, for the record, I still have a hard time saying. The term “holiday” will always mean one thing to me – and it includes a big fat guy wearing a red suit! In a few days, our crew will also pack up for summer holiday, taking a nine-hour flight and heading back to the U.S! So it only makes sense, based on my last post sharing the Five Conveniences We’ve Fallen in Love With Here to give some love to the conveniences from America we miss so dearly. 1. Hours of Operation – As someone that lives and breathes for a productive day and crossing items off the good ole to-do list, the famous Spanish siesta can leave one feeling a bit…unfulfilled? 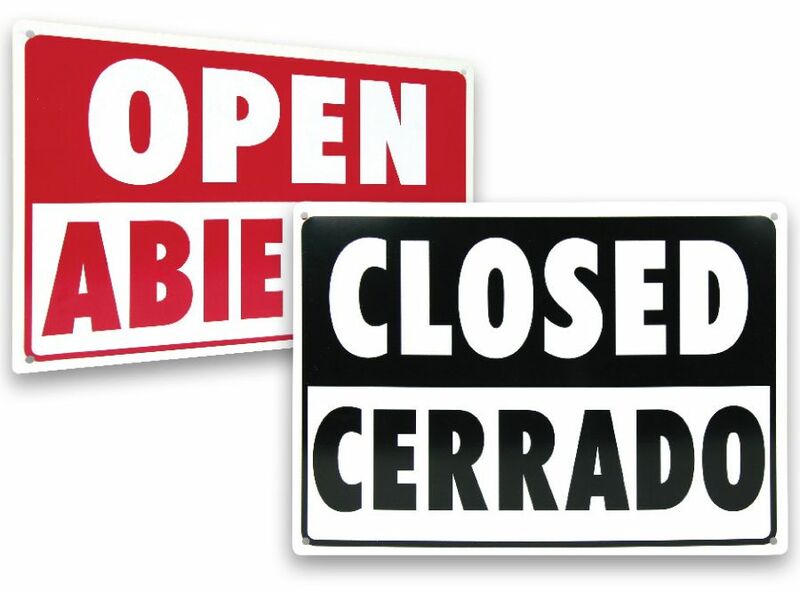 During the week retail stores, restaurants, bakeries, pharmacies, dry cleaners – you name it – will close their doors from 2:00 PM until 5:00 PM. That’s THREE whole hours of productivity – gone! Are people really sleeping during this time? Eh, not so much. Rather they take these hours to just chill by relaxing, going for a walk, having a coffee with a friend – ANY-thing but….well, working. And Sundays? These are designated as national holidays so everything north of Barcelona’s touristy Old City is also closed. This took some real getting used to as a family who typically spent Sundays perusing the aisles of Home Depot and Target. Don’t get me wrong, a slower pace of life has been really healthy for us and eliminated a certain degree of stress from the week. It has forced us, literally, to take a pause from constantly running. But MAN do I long for the days when a Marshalls, Bed Bath & Beyond, Wegmans and HomeGoods run could be achieved all in one day with time to spare in between. These days, I’m thrilled if I can get to the hardware store to buy light bulbs before they close. And if I can achieve this, well it’s been a fantastic day! 2. U.S. Measurements – Anyone who knows me can attest to one thing. I am lousy in math! I always say, when God paired my husband and I together He really knew what He was doing. Tony eats, sleeps, breathes numbers while I am busy still trying to memorize my new Spain telephone number. Match made in heaven ha! So as you can imagine, transitioning to the metric system here was painless for him and well…a bit more challenging for me! Learning the euro currency didn’t take too long. “Okay, I can handle this,” I remember thinking. But then came the conversions. 3. Super-Sizes – Okay, I realize large portion plates and colossal grocery items are kind of an American thing. Much of the modern world is not typically accustomed to keeping a five pound box of pancake mix in the house or 24-rolls of paper towels at once. But as a family of five, these super sizes are major time savers. Skinny-mini Spaniards who fancy tapas-style dishes (smaller portions like appetizers) may spend hours a day visiting different local markets shopping for produce, poultry, breads and cheeses in large enough portions to serve around two meals. What a romantic idea of European life….unless you have three little hungry hippos who all seem to have experienced major appetite spurts since moving here! Even the snacks and dried goods come in teenie-tiny sizes at most! One day, we went through an entire box of cereal before 11:00AM. We attempted to food shop like locals the first few months in Barcelona…but I found myself back at the markets three or fours times a week stocking up yet again. Where’s a COSTCO when you need one complete with jars of pickles the size of a human head and cheese wheels as big as a car tire?! Sometimes over-indulgence really is bliss…..even if it’s not ideal for the waistline! 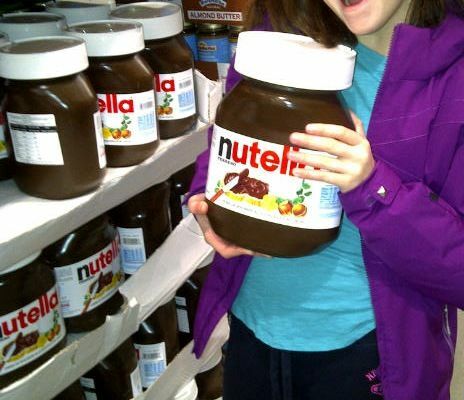 Who else loves how absurd this giant jar of Nutella is?! Compliments of American wholesale food shopping! 4. Always a Holiday! – I used to complain about American retailers whenever stores stocked Halloween costumes in July, Christmas trees in August and Easter eggs in January. I mean, what is the BIG RUSH, right? Clearly an attempt by business owners to garner as many holiday sales as possible in the weeks and months leading up. I would to roll my eyes and shake my head in disgust – but never before taking a stroll down the aisle and getting a glimpse of the goods ha! And I’ll admit, seeing all the shiny new packaging and festive colors would kind of put me in the spirit, even if I vowed never to make a purchase that early. New season coming, fresh excitement brewing – I realize now looking back that the psychology behind it all wasn’t lost on me. Who doesn’t love the holidays after all? Americans are hands down some of the biggest fans! By comparison, the Spanish are a bit more….delayed about it all. No surprise, as this “better late than never!” mentality is clearly cultural. Holiday decor, store sales and that festive feeling usually starts to set in about one to three weeks before a holiday, Christmas being the slight exception. One could argue, it creates more anticipation for what’s to come. But as I am a sucker for the holidays and an American at heart, I say BRING EM ON BABY! 5. Grass – No, not that kind of grass (although I’ll be writing soon about how we had to explain the funky smell to our kids when walking around Barcelona). The grass I’m referring to is what grows on the ground usually in the front or back of your home. A yard. Or as Europeans call it, a garden. Living on the fifth floor of an apartment in the city means two things – your living room becomes your backyard or the public parks do. We are blessed to live in a city where the parks are numerous and gorgeous, shaded and unique. But the ease of opening your back door and letting the kids run like wild animals on your own property sure is nice. 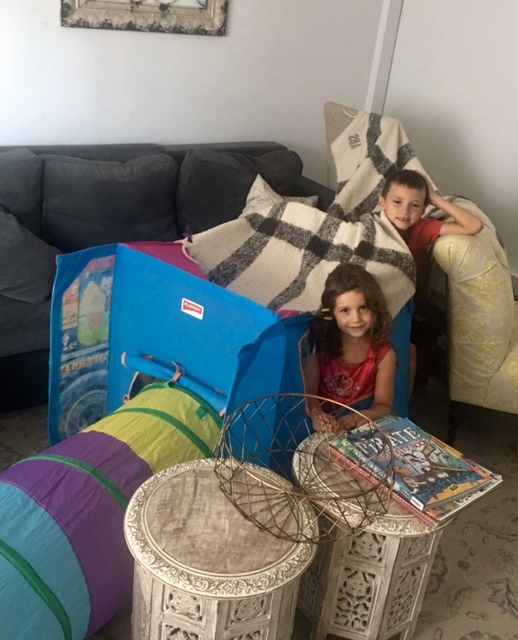 When your living room becomes a backyard! Previous Post Five Spanish Conveniences We’ve Fallen in Love With!